Biochar is a very simple material with incredible potential. Made from heating biological material in an oxygen deprived environment to drive off volatile compounds and leaving mostly carbon and few minerals. This can be achieved with very simple and clean techniques described here. Charcoal has quite a long history of many uses. 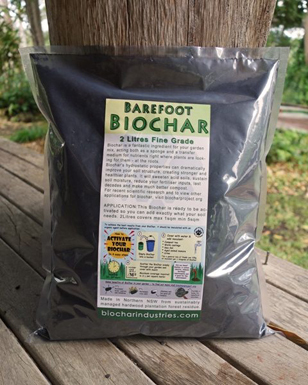 What distinguishes Biochar from charcoal is merely it’s use as a soil amendment. The main function of Biochar is the ability to bind many different molecules to a very large surface area of carbon (charcoal) molecules. This simple action holds water, minerals, nutrients and in turn causes the soil fauna to flourish. 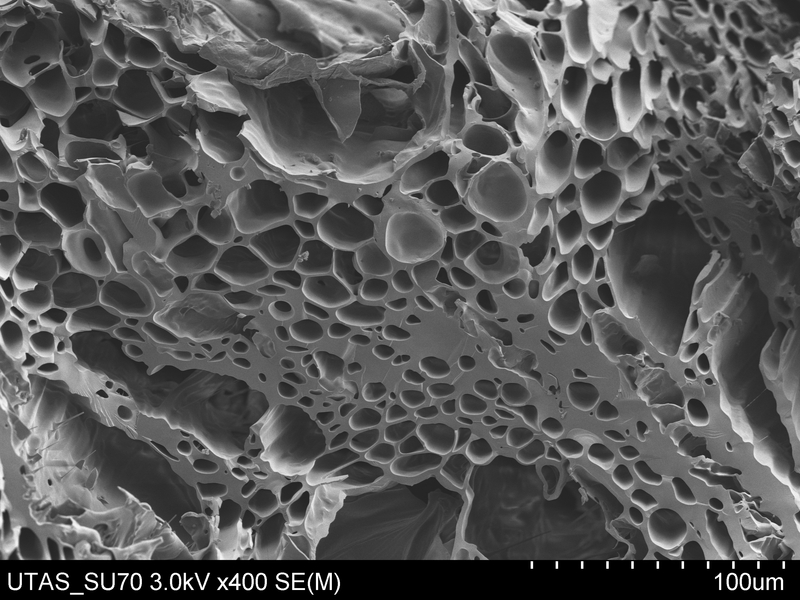 The hydrophilic (attracting moisture) properties of Biochar are quite phenomenal. On a humid or rainy day, the charcoal powder will clump and stick to surfaces where as on a dry day, it will be light enough to blow away in the wind. It has such hydrophilic properties that it can be used as a replacement for silica gel! Water is the most essential nutrient needed in nature and Biochar’s hydrophilic nature will hold as much water as it can right in the top soil where plants and other organisms need it. Biochar’s vast porous surface area (1 gram = ~500 m2) allows minerals & nutrients, normally leeched through the soil to be retained in the structure of carbon and held at root level for when they are needed. This added nutrient density of the soil also encourages microbes and fungi to use not only the nutrients held within the Biochar, but also the actual structure of the carbon as a habitat. Kind of like a free hotel with a minibar! 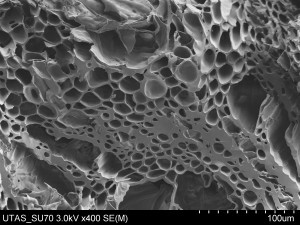 Using Biochar for carbon sequestration can be viewed as an on-going process. Not only does a percentage of the original biomass’s carbon become locked in the ground as Biochar for thousands of years, but the ecosystem benefiting from the extra nutrients held in the top soil grow healthier, stronger & bigger – therefore pulling more carbon from the atmosphere! The further spread this practice becomes, the closer we are to preventing climate disaster. 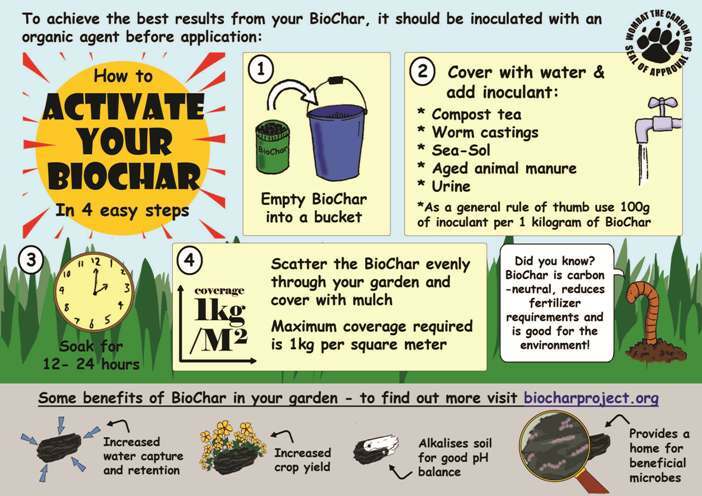 Putting fresh Biochar directly into the soil will have very little immediate effect beyond water retention. After some time, the carbon molecules catch enough nutrients and we see results in plant growth. It is possible to speed up this process by inoculating the Biochar before it is added to soil. 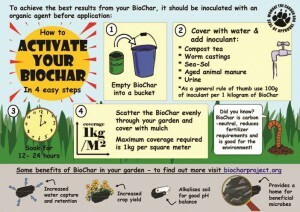 Inoculation is as simple as soaking Biochar with any fertilizer for 12-24hrs. Fertilizers can be chemical or organic – such as compost tea, worm castings, sea-sol, aged manure or even urine. Dear Charmaster, it’s Chientai from the highland of Taiwan. I am working on a biochar project with our indigenous tribe. We learned from Thailand and Philippine and local ways to make many kind of kilns and stoves. When we find Adam-retort, we think it does the right one we need. Can I have your blueprint or some kind of document for building it? and what’s the cost? Thanks.